AXI International, industry leaders in Intelligent Fuel Management Systems, has specialized in fuel maintenance, fuel polishing, fuel remediation, fuel treatment, and emission control technologies for over twenty years. Bagby Gage Stick began operation in 1953, providing gage sticks for the steel tank industry in Birmingham, Alabama. Today they have distributors all over the world, and manufacture gage sticks to various military specifications through distributors only. Blue1USA is a fully integrated manufacturer and distributor of DEF storage and dispensing systems for use by commercial fleets, retail establishments, government installations and off-road customers. The BRUGG PIPESYSTEMS Division represents system expertise and quality products for retail gasoline filling stations, DEF (Diesel Exhaust Fluid) applications, marinas and industrial applications such as emergency generator installations. We provide efficient and safe transport of dangerous liquids, as well as heating and cooling media. For more than 25 years we have been a leader in the petroleum point-of-sale market. Purposely built not to intimidate and be simple to use, with industry leading functionality to power your business. CardMaster offers the industries best value in fuel controllers, and the best options in communicating with remotely. Civacon specializes in products and systems to safely load, monitor and unload petroleum, dry bulk and petro chemical cargo tanks, for the road and rail industries. We are a global leader in providing Bottom Loading, Vapor Recovery and Overfill Detection Systems for the petroleum industry. For more than a century, Clay & Bailey Manufacturing Co. has provided our customers with concept-to-completion solutions for their businesses. These innovative solutions include tank accessories for Aboveground (AST) and Underground (UST) storage tanks used by the petroleum industry as well as construction castings for municipalities. All CNI Manufacturing steel material is composed of 30% recycled material. We have the knowledge to develop manholes for any installation and weight load to accommodate service stations, airports, city streets, landfills, fire stations, and industrial locations. With more than 50 years of experience manufacturing fiberglass underground and steel aboveground long-term storage tanks, Containment Solutions is a name that can be trusted. Cox Reels is proud to manufacture the industry's highest quality and widest variety of hose, cord, and cable reels. 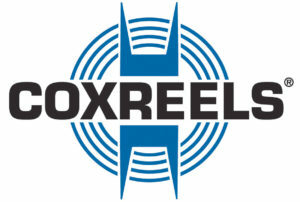 Cox Reels remain aware that their products are called on to be the most reliable product built to faithfully perform in various settings and applications. Cree is a market-leading innovator of lighting-class LEDs, LED lighting and semiconductor solutions for wireless and power applications. Today Dixon Pumps continues to manufacture the highest quality transfer pumps, tank cleaning, and filtration systems available. Our reputation as an industry leader in quality and reliability has been part of the Dixon Pumps culture for more than 30 years. 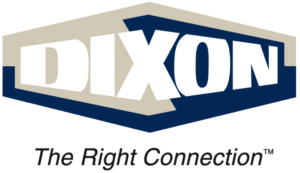 Headquartered in Chestertown, MD, with distribution centers around the globe, Dixon has grown to become a leading innovator in the hose coupling industry. EnviroLube is a quicklube/vehicle service system comprised of manufactured fiberglass modules specifically designed for drive-through service in auto dealerships, quicklubes and heavy-duty facilities. Fibrelite is a global leader in the manufacture and development of highly engineered GRP composite manhole covers, trench covers, steam covers and underground containment systems. Since 2013, Fibrelite has been a part of OPW (a Dover company) allowing us to offer an unprecedented portfolio of complementary best-in-class products. Fill-Rite, the number one brand in fuel transfer pumps, meters, and accessories. We build AC fuel transfer pumps and DC fuel transfer pumps in the USA. Great Plains Industries, Inc. is respected globally for its high-quality fuel transfer pumps, fuel meters, flowmeters and Industrial instrumentation. The company is home to the GPI, FLOMEC and GPRO brands. Graco Inc. has been a leading provider of premium pumps and spray equipment for fluid handling in the construction, manufacturing, processing and maintenance industries. The Hosebun™ is, by far, the foremost method to suspend hose in a permanent or temporary, semi-rigid position. When our Hosebun™ product is used, the hose manufacturer’s maximum bending radius is protected, and your expensive hose is kept from kinking. Jefferson Solenoid Valves has been working with a clear aim ahead - meeting the market's needs with regard to solenoid valves, magnetic level switches, and industrial automation equipment by means of innovation and the latest technology. 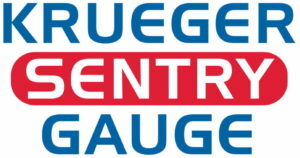 Krueger Sentry Gauge is a small family owned business in Green Bay, WI. They have been in business for over 65 years and have manufactured over 3 million level gauges. Ktech Industrial Products Inc., is a manufacturer of float switches, alarms and pump controllers. We provide liquid level control solutions for industrial, petroleum, chemical and food equipment applications. M&M Inc. changed its name from M&M Displays to better represent our expanding range of capabilities. 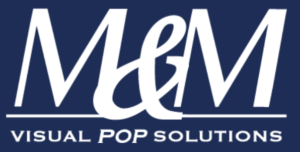 M&M is a multi-faceted operation, specializing in medium to large format Screen Process and Digital Printing for custom POP Displays and retail signage. Moormann Bros. Mfg. Co. Division of Gainescraft Inc. Simple and Reliable Since 1934. Morrison Bros. Co. has over 1200 different products forming the most complete line of AST Equipment manufactured in the world. Fiber Glass Systems delivers composite pipe and fittings engineered for efficiency and performance. NOV provides worldwide service to the oil and gas, chemical and industrial, marine, offshore, fuel handling and mining industries. PetroClear is dedicated to developing and manufacturing fuel-dispensing filters for the demanding needs of today’s retail and commercial fueling applications. PIUSI spa provides professional, easy-to-use and top-performance solutions for transferring “dispensing” and measuring fuels, lubricants and liquids. Reelcraft manufactures over twenty five hundred models of hose, cord and cable reels, as diverse as heavy duty hose reels used in the light, medium, and heavy industry, automotive service and a wide variety of OEM applications. Rotary Lift sells more lifts than anyone else in the world. They’re built for years of dependable service and they deliver on it consistently - all supported by a computerized parts system and network of factory trained installation and service specialists. SkyBitz is a leader in commercial telematics with businesses focused on providing rapidly deployable solutions for enterprise and local fleets, tank monitoring and petroleum logistics. nVent RAYCHEM TraceTek liquid leak detection is designed and manufactured with high performance polymers for long-term service. For 40 years, UnitedSign has been providing handmade, competitively priced signs, decals and accessories. Watson Gloves has grown into Western Canada’s largest retail distributor of great-quality gloves for work, home and play. A global fuel dispenser manufacturer for retail and fleet applications, Wayne is leading the way with technological advances on multiple fronts, from eco-fuel solutions and regulation-compliant pay-at-the-pump security to multimedia marketing and groundbreaking site control systems.